Where is the conversation? Why does he come home and not want to talk to me? Why do people cheat instead of breaking up? Wow, the listeners came up with some great questions! Keep them coming. Fun show! 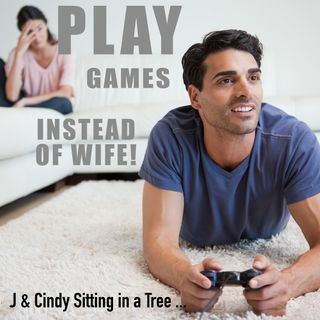 So, as a husband and avid video gamer, I'd like to chime-in! The world of videogames has changed. The kids that were playing Nintendo back in the 80's are now in their 30's and 40's and for some, it's still their favorite pastime. I usually play every night, roughly 10pm-12am. My wife on the other hand does not enjoy that hobby. She crochets. It's her life outside of Mom and Wife: to be a crochet artist. I appreciate that! She also appreciates that I take my gaming seriously. I think that's where we cross paths: I have opportunities to ask her about "Who is this item for? Why are you re-starting this project” and she asks me "How did you play last night? Is the new mouse helping with your aim?" or whatever.